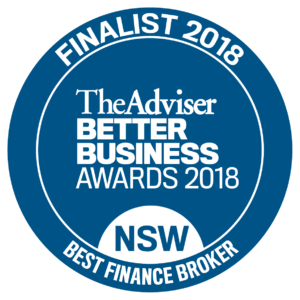 SYDNEY, 7 December 2017 – Barry Watkins, Director and Founder of Clever Finance Solutions Pty Ltd, has been shortlisted as a finalist in the Best Finance Broker category for the Better Business Awards 2018. In addition, Barry Watkins will also be in the running for the Editor’s Choice Award, which recognises an individual’s outstanding contribution to the broking industry. Now in its fifth year, the annual Better Business Awards is a prestigious industry award that recognises individual and group excellence across 18 awards. Winners in the individual categories will be automatically considered for the coveted Broker of the Year Award. Barry Watkins said that he was shocked and humbled by the nomination. “The recognition of Clever Finance Solutions for its excellent contribution to the NSW community reinforces the strength of the brand in connecting with the community and engaging with its customers. It’s deeply important that every person has the chance to be financially secure and it is our job to make that happen though financial planning and loan broking,” Watkins added. The Better Business Awards 2018 is partnered by the National Australia Bank and hosted by The Adviser, Australia’s top publication for Australian mortgage and finance brokers. Winners will be announced at the state award dinners between 15 February and 15 March 2018. Founded in 2009, Clever Finance Solutions offers financial strategy and loan broking Australia-wide. It has particularly strong relationships with unique clients and specialises in long-term financial strategy, multi-property purchasing, and brokering loans to suit individuals. To find out more, visit http://cleverfinance.com.au/.